Brig. 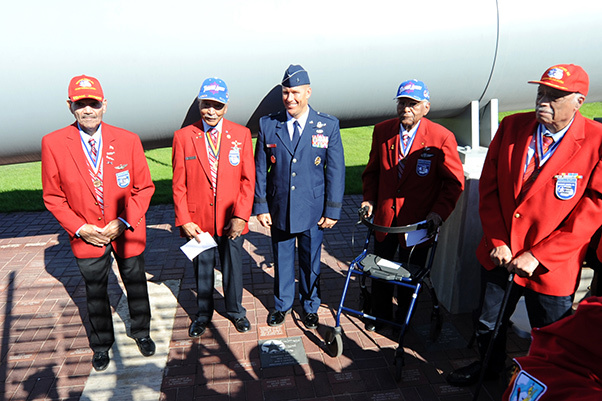 Gen. Brook Leonard, 56th Fighter Wing commander, stands with members of the Archer-Ragsdale Arizona Chapter Tuskegee Airmen Incorporated, beside the Tuskegee Redtail granite paver Nov. 11, 2016 at the Wesley Bolin Memorial Plaza, Phoenix, Ariz. The granite paver was placed between the gun barrel monuments for the U.S.S Arizona and the USS Missouri gun in memory of the Tuskegee Airmen who served in World War II. The ceremony began with Nate Carr, Archer-Ragsdale Arizona Chapter Tuskegee Airmen Incorporated’s treasurer, briefly explaining the history of the battle for liberty the Tuskegee Airmen had to endure, both overseas and at home. The Tuskegee Airmen made up a squadron of mostly African-American pilots who flew the P-51 Mustang. 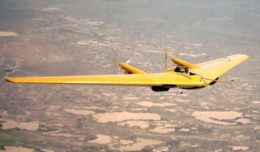 These “Red Tail Angels” flew B-17 bomber escorts during World War II, where they had the lowest casualty rates of bombers being escorted. The Tuskegee Red Tail granite paver is a 40-pound block placed into the ground along with other pavers that memorialize members who’ve served in World War II. Among Leaders from Luke was Brig. Gen. Brook Leonard, 56th Fighter Wing commander.